For Silvia and her daughter, finding a place to sneak off and do crafts together in their small home in Utah was a hassle. But now their love for making crafts together doesn’t have to suffer any longer. When the mother-daughter duo left home for a few weeks to visit family, dad was left home alone. While they were gone, Andrew decided it would be the best time to give them the surprise of their dreams, and he documents the process from start to finish. The new craft room contains overhead lighting, hand-built crafting tables, brightly painted walls, and a hefty walk-in closet perfect for storage. 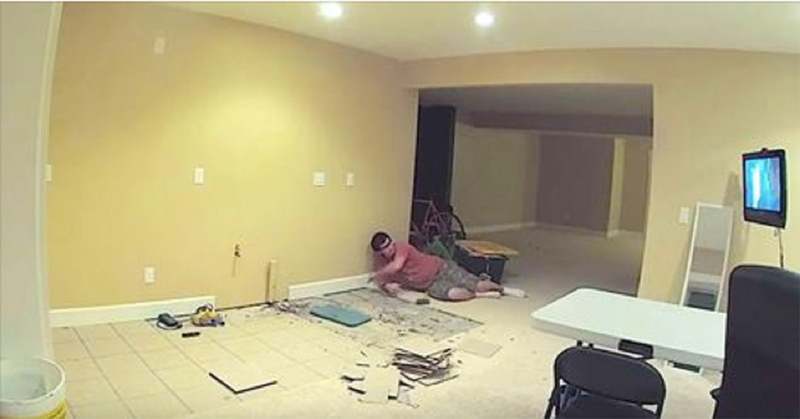 The time lapse video below reveals just how much time and effort Andrew spent on this room. Today, the whole family enjoys their new craft room, and they’ve even begun to sell their crafts on Etsy.